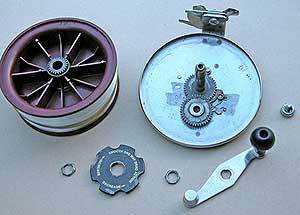 This is an unusual Alvey reel in that it is geared whilst all other models are fixed centre pin reels. It has been engineered as a high-speed spinning reel for chasing seriously big fish like a tailor, mackerel, and tuna from the rocks in Australia. The current model of this reel is the 650GRBC. It has a slightly slower retrieve speed of 2:1 and is also a bit lighter. Reviewed here is 650GRC which has been around for at least a decade. The 650GRC does, of course, work very well as a rugged heavy duty surfcasting reel. In which roll the extra retrieve speed is nice to have but is not really necessary. The 650GRC is a very “solid” virtually indestructible surfcasting reel. It weighs 1.4kg (3lbs) fully loaded with monofilament line. The 650GRC feels heavy in the hand and very heavy at the bottom of a light-weight rod. I mostly surf cast with a 1:1 green Alvey 650C which weighs in at 1.2kg (2lb 12 oz) but somehow feels lighter. Surprisingly these are not the heaviest Alveys. My fully spooled 651C weighs in at a hefty 1.6kg (3lb 6oz). The 700C5 is even heavier. One of the things that you notice with this geared model is that there is a type of “fly-wheel” effect from the weight of the spool. In other words, it takes a couple of turns of the handle to get the spool turning at full speed. When you are about to stop winding you begin winding slower and stop the handle. If you wind flat-out and just let go of the handle the reel will keep spinning! If all you were wanting to do was spin for kahawai you would be better using a much lighter Abu Ambassadeur 7000C which weighs just 17oz or approximately a third of the weight of this Alvey spinning reel. The stainless steel back of the 650 GRC. 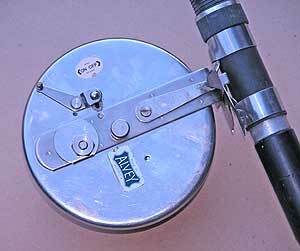 Those familiar with Alvey reels will note there is no “fish alarm.” The lever is to place the reel in or out of gear. Push down to engage. 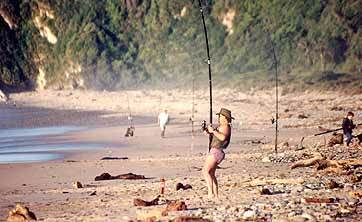 Don’t forget surfcasting and spinning are completely different forms of fishing. A surfcaster might cast out his baited hooks, place his rod in a rod spike, and then sit down and have a rest for ten minutes. 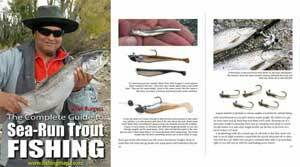 The spin fisherman, on the other hand, will be constantly casting and retrieving all the while bearing the full weight of rod and reel. It takes much more effort to point the rod tip at the sea and wind flat-out as one might when spinning for kahawai than to stand or sit next to your rod waiting for a bite! That said I see the 650GRC as a surfcasting reel that you can also use for high–speed spinning. To me, it is mostly a surfcasting reel with a quick rate of retrieve. Line capacity is 650 m of the 9kg line (700 yards of 20lb mono). I would be inclined to load the reel with say 400 m of old used 9kg mono, and then top-shot it with 240 metres of good 9kg mono, then finally tie of about two-rod lengths of 40 lb or even 50 lb mono as a shock leader. This is not just better economics. The shock leader also reduces bust-offs when casting. If you regularly fish a shingle beach where you tend to get a bit of stone damage I would spool up with a hard 30 lb mono. This will reduce casting distance a little but will be much more durable. 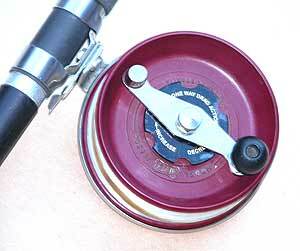 As with all Alvey side-cast reels, it is recommended that you use a swivel at the top of your rig to reduce line twist. With the heavy shock, leader use a no. 9 or 10 swivels. A larger swivel won’t work properly as the lighter line will struggle to turn it. Not much can go wrong here. As you can see from the picture the drag system is a monster. 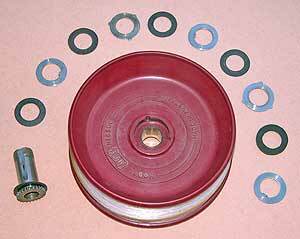 It features no fewer than ten large drag washers of various materials: Tygaflor, Nomex, Nitrile and stainless steel. The drag in keeping with the general construction of this reel is extremely rugged. It is very smooth even when wet. No problem stopping the largest kingfish with this drag! The manufacturer advises that owners lube their reels with light oil rather than grease which tends to make the sand stick. The Alvey GRC, like many of the large reels from this manufacturer, can be used very effectively for other types of fishing. It makes an excellent boat reel even when fishing quite deep water for big fish. 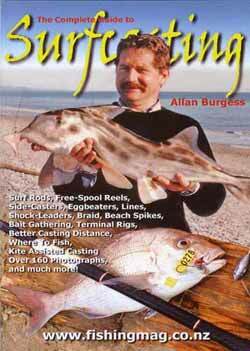 There aren’t many long-distance surfcasting reels you could say that about! Perhaps the stand-out feature of this reel is its durability. Alvey has been making reels for over 80 years. Each one is built to last. The Alvey 650GRC has plenty of performance room to spare should that really big fish just happen to take your bait at the beach! Killwell Sports in Rotorua have long been the New Zealand agents for Alvey Reels Australia.